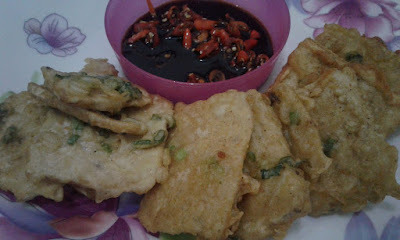 Today I want to show you how to cook tempe mendoan in my way. I know there are thousands of recipe to make tempe mendoan. And there you can find, what is Tempe Mendoan. And, since I don't follow most of the recipe, I give you the simplest recipe to make this tempe mendoan. Simple isn't it? 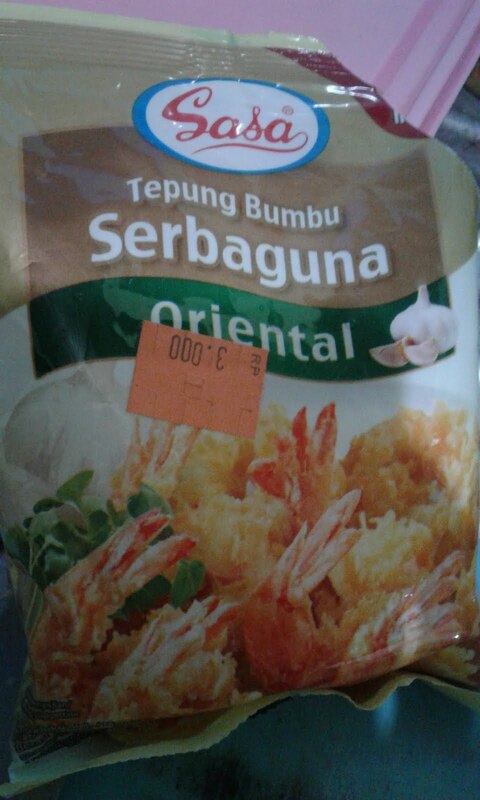 And cook this tempe mendoan is so easy. Just cut the leek or spring onion into a small pieces, and mix it with the flour, if you want it, you can add pepper, then add water, cold water is better. Cut the tempeh veeeeery thin, while you do that, you can heated the oil at the frying pan. How much, enough for fries the tempeh. After you cut it, just mix it with the batter. And after the oil is hot enough (please don't make the oil too hot). If you see the oil getting smoke, just make the fire at your stove smaller. Then fried the battered tempeh. Remember, to cook it not until really crispy. Just make sure the flour is cooked enough, then put aside the fried tempeh. This is my tempeh mendoan. Easy and no need lot's of ingredients. Eat it while it's hot, but not too hot. And you can enjoy it as afternoon snack together with coffee or tea. As alternative, sometimes I also use the tempeh gembus/ gembos. Since tempe is my favorite food, so this is one alternative to eat tempe, when you bored to eat the fried tempe.